Have you wondered if you could ever get paid to blog? You can make money at home by starting your own blog. Here’s how. Blogging has opened a new world of exciting possibilities for everyone, especially “mommy bloggers.” We’re passionate about finding ways to share our thoughts, build community, and earn an income from home, especially while we’re raising young children. My blog, Like a Bubbling Brook, has been an incredible blessing as it earns our family extra money each month. Starting a blog of your own can seem confusing at first, especially with so many different blog platforms and hosting plans out there. My advice to you is… just jump in. I can try and explain it all day long, give you tips and tricks, share ebook after ebook with you, and send you to a hundred different web sites for more information. It would be overwhelming for most of us. It’s time consuming. There’s a lot to learn, and I’m still learning. You won’t understand how blogging works until you dig in and try it for yourself. Experience is the best teacher. Just jump in and learn as you go. You can get paid to blog after you’ve grown a following. It’s slow to start, so don’t expect overnight success. 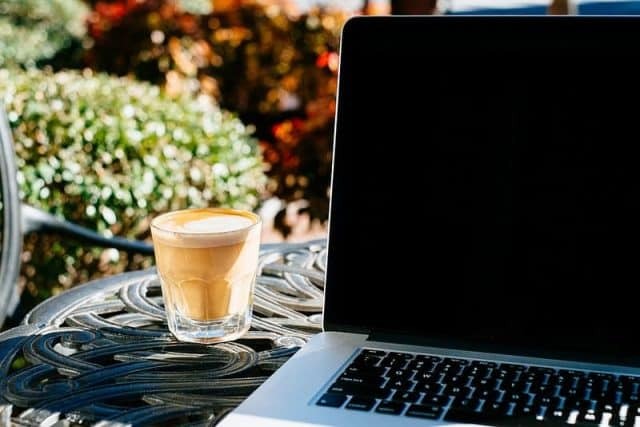 Growth comes with time, but if you’re diligent with writing, learning, and growing, then you’ll have opportunities to earn money through having ads on your blog, selling your own products, becoming an affiliate for products you enjoy, and more. I recommend three things to get started: 1) a good hosting company, 2 ) a WordPress.org web site platform, and 3) a domain name (name for your blog). This is where your web site (blog) will be stored. It usually costs somewhere from $3-$8 per month, depending on what company you choose. I highly recommend InMotion Hosting; that’s who I use here at Like a Bubbling Brook, and I have for a few years. They’re a privately-owned company with affordable prices, great reviews, and the best customer service; more on that in a minute (I have a promo to share). SIDE NOTE: Some bloggers have recommended other hosting companies (like Bluehost, if you’ve heard of them), but I personally don’t think they’re the best option. My sister (who also blogs) recently left Bluehost because her site was repeatedly down and it was costing her profits and visitors. Ugh! That’s not what you want to have happen after you’ve put in all the hard work to grow your blog. The problem is, companies like Bluehost, Hostgator, and others are being bought-out by a larger, public owned company called EIG. They have more marketing dollars to spend, but they’re not the best choice overall. In contrast, InMotion Hosting has a proven track record in the blogging industry: they are rated A+ by the BBB and have top ratings from CNET and PC Magazine, as well as from other techie sites. BONUS: They offer a whopping 90-day money back guarantee, so if you decide this blogging thing isn’t for you, or it’s too complicated, you’re not out anything! I started on Blogger/Blogspot several years ago and moved to WordPress.org about a year or so afterwards. Wordpress looks professional, has user-friendly layout choices, allows you complete control of your site content, and give you simple tools for becoming an income-earning blogger when you’re ready. WordPress also comes pre-installed for you (with a drag-and-drop interface!) on the InMotion Hosting plans. They make it so easy! They’ll also ask you to choose a theme to use; that’s basically the style/layout for your site. I’m using a theme called FoodiePro right now. It’s a good one, and whether your blog is about food or not – I recommend it. The name of your site should be easy to remember and spell. Short and punchy is best. Personally, I think mine is a little long and cumbersome, but I chose it before I knew better. Think of a name that encapsulates the “feel” of your site and what you’ll be writing about. Depending what hosting package you choose from InMotion Hosting, you’ll probably get a free domain name. Their Launch hosting plan is reasonably priced, has WordPress pre-installed for you, and gives you a free domain name. It’s a one-stop-shop. It doesn’t get easier than that! If you need any help with your blog set-up, give InMotion Hosting a call. Their customer service is top notch, and wait times are minimal. I waited less than one minute on my last call to them. And you also get to talk to a live person – yay! They’ll walk you through everything once you’ve committed to a hosting plan. 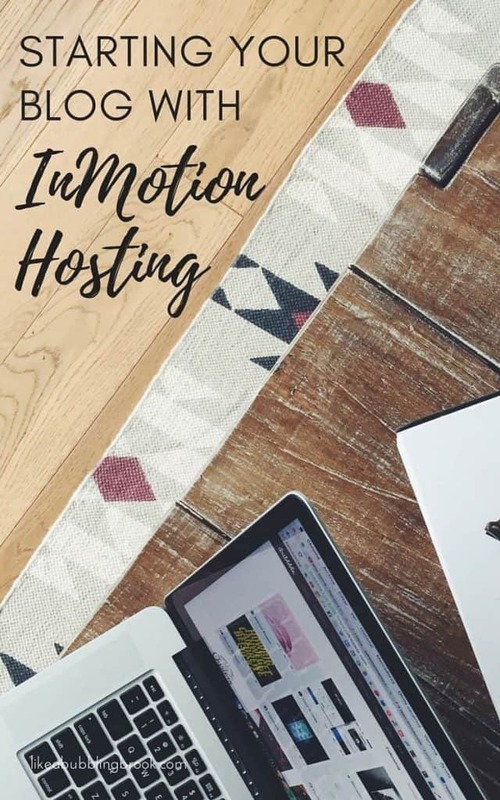 So, to recap: For a new blogger, I would definitely sign up for InMotion Hosting, specifically their Launch hosting plan. And, just for my readers, I was able to secure an exclusive offer with them on my last phone call — for a limited time, you can sign up for only $2.95 a month! This includes everything a new blogger needs to get started! It’s the whole package deal and it will give you a professional blog that can begin to earn you money from home as you get paid to blog. Remember, sign up through my link, and then call in to InMotion Hosting if you need more help as you go. They will stay on the phone with you and help you through any part of the set-up process. You won’t need to fumble through it on your own! What are you waiting for? You have something unique to offer the world – get it out there! I can’t wait to read it. PicMonkey – Great web site for beginner graphic design. Some of the images you see on my site were a result of manipulating images in PicMoney. I use their free tools, but there is a premium package available if you want more options. You can easily create a blog logo, header, etc with this free site. Platform – This is a great book by Michael Hyatt about building your blog or web site following. Lots of social media strategies and ideas to help you grow your blog and become a professional blogger. Money Making Mom – An inspiring and helpful book written by Crystal Paine. It’s geared towards women who want to make money from home and/or get paid to blog, based on her experience as a mommy blogger who turned blogging into a full-time income for her family. By simply clicking on Amazon, InMotion, and other affiliate links in this article, you can help support this site. I only recommend resources that I actually use or have used myself. Thank you for supporting Like a Bubbling Brook!